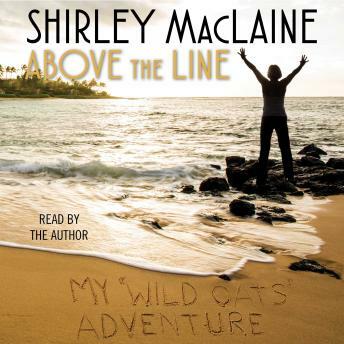 Read by New York Times bestselling author and Academy Award winner Shirley MacLaine, a funny, fierce, imaginative memoir chronicling her remarkable experiences filming Wild Oats in the Canary Islands and the extraordinary memories her time there brought forth of a past life on the lost continent of Atlantis. Her agent told her not to get on the plane. The male leads weren’t even cast. The financing was shaky at best. The script had been re-written countless times. And yet something about Wild Oats lured Shirley MacLaine to the film’s location shoot in the far-off Canary Islands—and straight to the center of one of the most thrilling and paradigm-shifting adventures of her life. The making of the film feels like a screwball comedy, as the cast and crew face unpredictable daily obstacles with ingenuity, grit, and personal sacrifice. Yet the chaos leads Shirley to a revelatory new understanding of the demise of one of history’s most elusive yet endlessly intriguing places. Scholars have long theorized that Spain’s Canary Islands are the remnants of the mighty lost continent of Atlantis. As the movie set descends into pandemonium, Shirley finds fascinating corollaries between the island’s cataclysmic fate and our own dangerous trajectory. Can we learn the lessons the citizens of Atlantis failed to comprehend? The answer is borne out of recovered memories from Shirley’s past life on Atlantis and through a series of meditations that reveal the necessity of unfettered imagination when looking for bold new truths, rendering this evocative memoir essential for anyone seeking a broader understanding of what it means to be human—both where we came from and where we are going.